Market breadth indicators, i.e. advance/decline, new high/new low, or up/down volume, allow technical analysts and traders to look beneath the surface of a market to quantify the underlying strength or direction associated with a market move. Increasingly popular in all types of markets, they give traders the ability to accurately forecast a number of possible outcomes and the likelihood of each. Bottom line? For gauging the near-term direction and strength of a market, breadth indicators are among the single most valuable tools a trader can use. Breadth analysis is one of the purest measures of market liquidity. Applicable to virtually any exchange or index of securities for which breadth data is available, it represents the best available footprint of the health and near-term direction of the overall market examined. 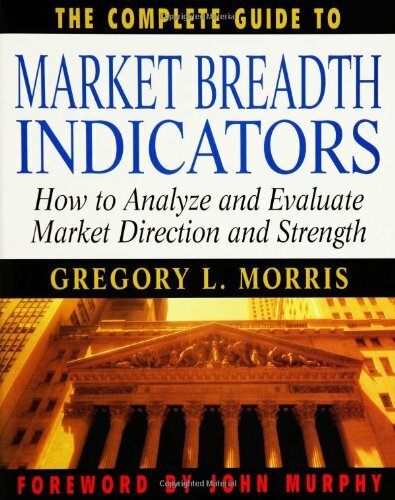 The Complete Guide to Market Breadth Indicators is the first book to delve into the use, mathematics, and interpretation of the most popular and proven of these tools, and is an invaluable reference for technical traders and investors of all types, and in every market.